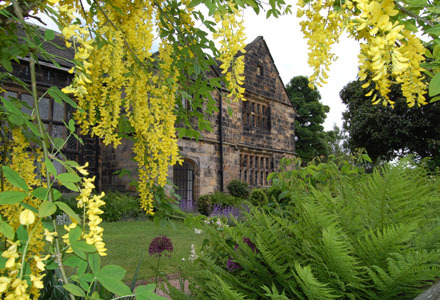 Oakwell Hall Country Park in Birstall is starting an exciting new event in May – a weekly artisan emporium which will be selling some of Yorkshire’s finest produce, crafts and gifts. Each week visitors will be able to browse a fabulous selection of stalls. Things on offer include locally made food, preserves, crafts, handmade jewellery, paintings, vintage items and much more. The Emporium will be in the Courtyard of the Visitor Centre. Oakwell Hall’s recently refurbished shop will complete the shopping experience. The shop stocks items that reflect the history of Oakwell Hall and the beauty of the Country Park. It also sells quirky 17th Century ceramics, delicious foods from local makers and delicate artist-painted wildlife mugs. When is the artisan emporium? The artisan emporium will be open from 12 noon to 4pm on Sundays from 3rd May 2015 until the end of August 2015 and admission is free. Are you an artisan that wants a stall? Oakwell Hall is furnished as a family home in the 1690s and offers visitors a real insight into a post-English Civil War household. The site also includes over 100 acres of country park, a visitor centre, gift shop.